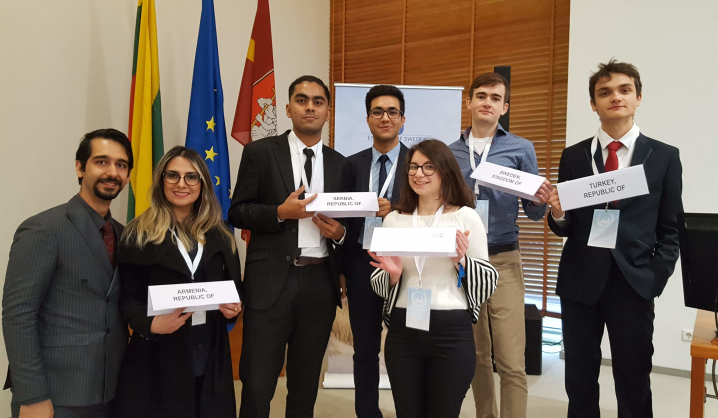 On October 24, an education simulation event “Vilnius Model UN 2018” took place to mark the 73rd anniversary of the United Nations Day. The event was organised by the Eastern Europe Studies Centre (EESC) together with the Swedish Institute, the Embassy of Sweden in Lithuania and the Ministry of Foreign Affairs of the Republic of Lithuania. Seven out of 50 participants of the simulation were students from Vilnius Gediminas Technical University (VGTU). Participants of the Model United Nations conferences become delegates of different countries for a day. They learn to use their diplomacy and international relations skills in solving international conflicts. This type of simulation has very deep traditions and has been organised since 1949. The theme of this year's Vilnius Model United Nations 2018: Solving the Conflict in Eastern Ukraine. Before the event, students are assigned to represent specific countries (2 students per country) and have to prepare for their assignments in advance: they analyse current situation and prepare their solution to the conflict. They present and defend the assigned country’s position during the education simulation event. “It was an amazing learning experience. Especially, for my friends from VGTU who participated in such event for the first time. They truly liked it and will participate in similar events in the future,” says Pritesh Kwatra, VGTU student who has already participated in the simulations several times. 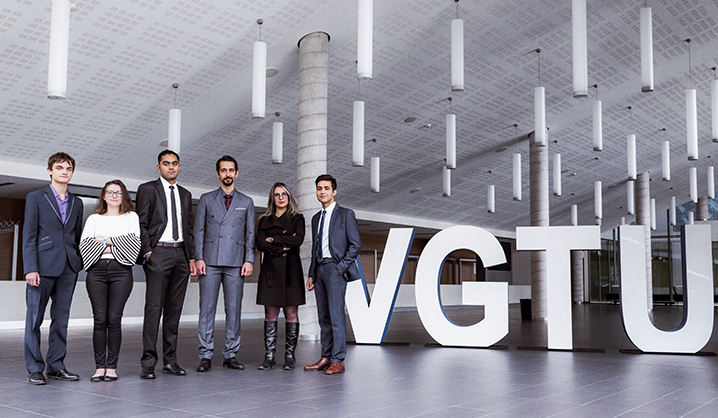 VGTU is proud of the students’ success: two out of six best delegates are from VGTU. Pritesh Kwatra received an outstanding delegate award and Ty Yamintz received best delegate award. Congratulations! Photo. VGTU students and the countries they represented. From left to right: Sina and Nafiseh represented Armenia, Susith and Pritesh – Serbia, Beste – Slovakia, Ty Yamintz – Sweden, Andrew – Turkey.